In stark contrast to the offensive barrage in the series opener 24 hours earlier, both teams tightened up their defensive units. Whereas Game 1 was the type of outing that fans love and coaches detest, the opposite was true in the second game of the series. The Marlies’ only goal came in the first period courtesy of Ben Smith, the beneficiary of a pair of great plays by defenceman Travis Dermott. After Dermott forced a turnover in the Texas zone, his team continued to apply pressure. The defender then unleashed a shot from the point that was deflected by Smith into the net for his sixth goal of the post-season. 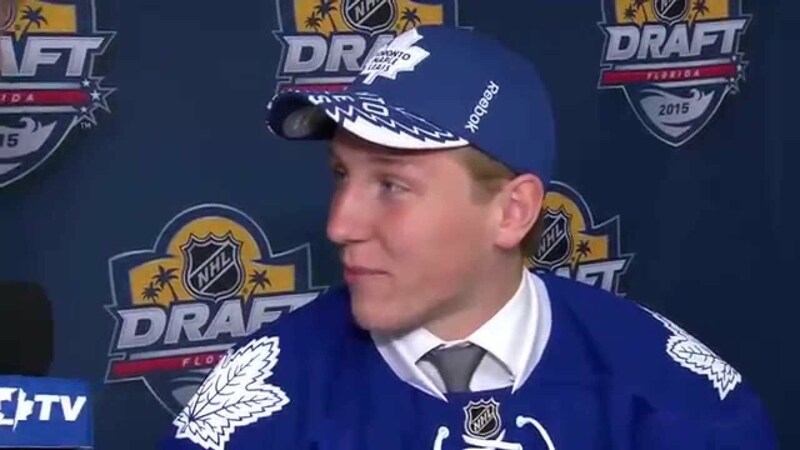 However it took just one period for Dermott to go from hero to goat. After fumbling on an attempt to intercept a stretch pass, a helpless Dermott couldn’t catch up to Stars forward Curtis McKenzie, who tallied on a breakaway to tie the game. Toronto could only muster five shots on goal in the second frame, and fared no better in the third period, forcing Stars goalie Mike McKenna to make a mere four saves. The game-winner came on a power play after Vincent LoVerde was sent to the penalty for holding the stick. Texas defenceman Gavin Bayreuther accepted a nifty pass from Justin Dowling, then beat Garret Sparks with a cannon of a point shot. Sparks made 22 saves in the defeat. Particularly concerning for the Marlies has been the lack of production from the top line of Carl Grundstrom, Andreas Johnsson and Miro Aaltonen, held off the scoresheet for a second consecutive game after entering the series with a combined 35 playoff points. The series shifts to Austin, Texas for the next three games beginning on Tuesday.